The very beautiful Atim of Afrolems.com inspired lunch for today. 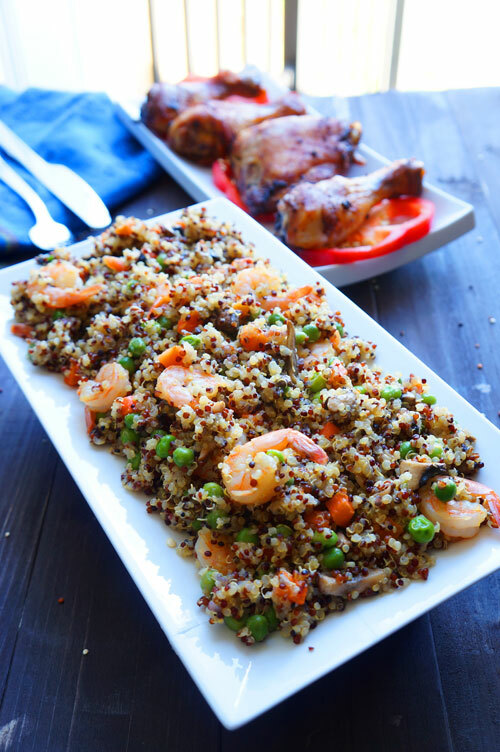 This dish was inspired by her Suya chicken Quinoa Stir fry, you should check it out. 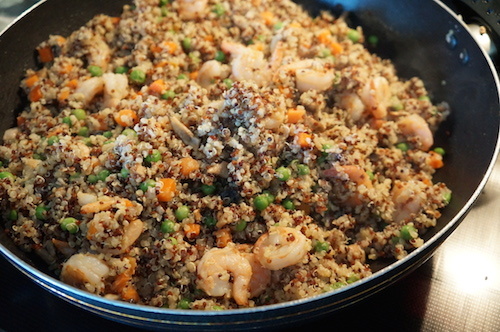 For my variation, I decided to make use of Shrimp and coconut oil to bring it all together. 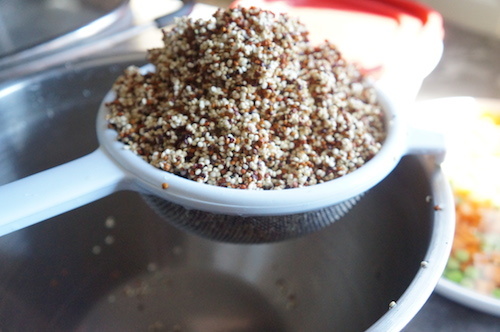 I have always been a fan of quinoa; I have tried several recipes with It including this great Quinoa Moimoi recipe we posted last year. 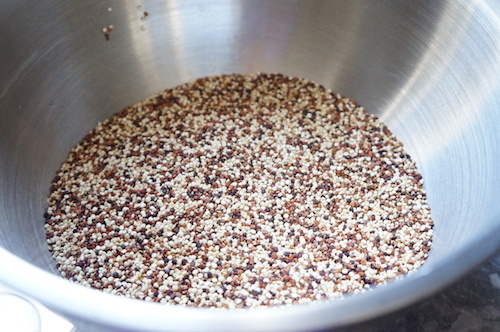 The most important thing to remember is that quinoa should extremely fluffy, water logged soggy quinoa will definitely not work. 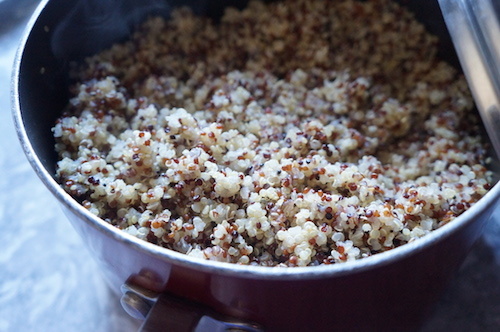 Want More Information About Quinoa? 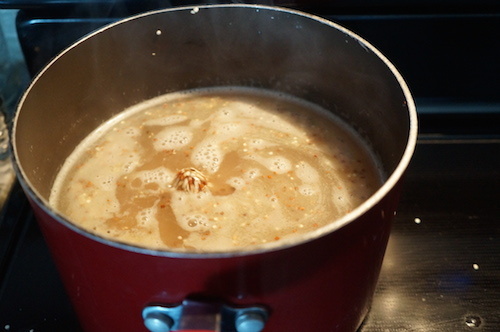 **Note: If you do not have broth, boil 3.75 cups of water with 1 cube maggi, salt and your favorite spices. 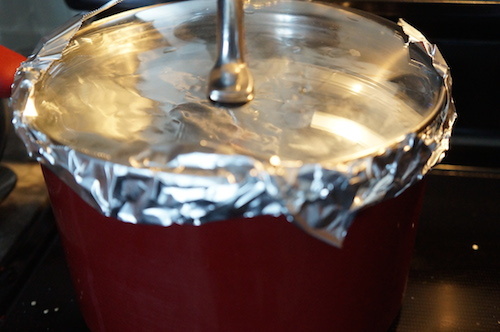 Heat up the coconut oil in a large pot or wok. 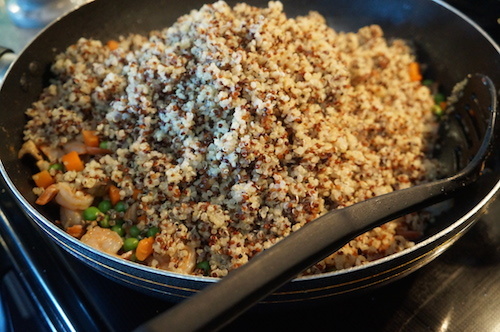 Add in the minced garlic and stir fry until fragrant. 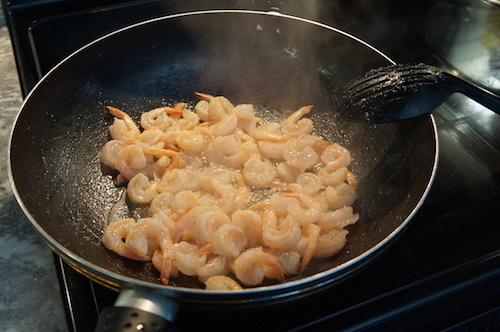 Add in the shrimp and cook for about 1 minute. Stir in pepper. Add maggi and salt.